If your Mighty Girl is eagerly awaiting the release of Star Wars VIII: The Last Jedi, then this is the costume for her! 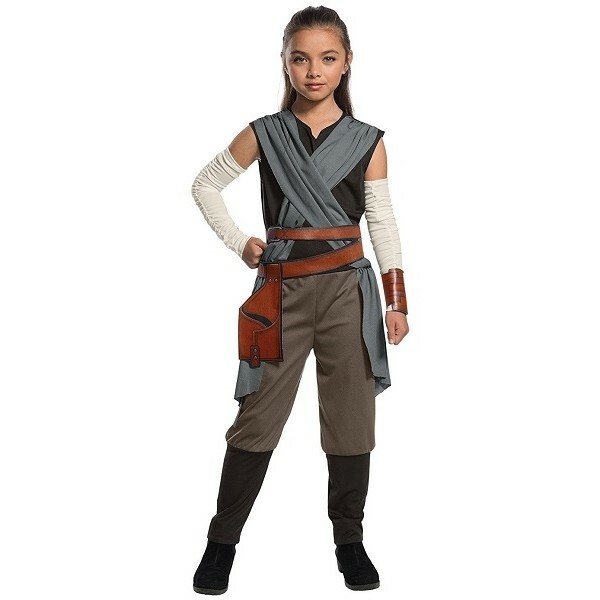 This costume set features Rey's Jedi training outfit from the upcoming film. The set includes a jumpsuit with attached grey wraps and brown boot tops; a screen print belt; two arm cuffs; and two beige arm warmers. For more empowering dress-up options, visit our Costumes / Dress-Up Collection. For more products featuring Rey and other characters from the new Star Wars trilogy, visit our Rey Collection.